AIMS Research Fellow Joseph Quesnel discusses the success story of Membertou First Nation in Cape Breton, which has prospered by keeping its land holdings in the free market. By choosing not to convert their holdings to reserve status, the Nation has kept its land more productive, even after paying taxes. To help First Nations convert more of their land into urban reserves — First Nation-owned land that Ottawa has designated as reserves, complete with tax-exempt status — the federal government has decided to make changes to its Additions to Reserve (ATR) policy. In 2014, economists with the Fiscal Realities group studied six First Nations located near urban areas. It found that urban ATRs offer significant economic and fiscal benefits to First Nations, regional economies and local governments. Economic growth, it seems, is good for everybody. The Membertou First Nation, an indigenous group in Cape Breton, N.S., has discovered the benefits of keeping land outside the reserve system. The community owns land outright in fee simple estate, the highest form of property ownership in Canada. Fee simple, or what we simply understand as the free market, exists everywhere in Canada, except on reserves. These land holdings can be sold or transferred to anyone and pledged as collateral for loans. The upside to fee-simple ownership is that land can be used productively: unlike tax-free urban reserves, they don’t have the weaknesses of being held like a socialist collective. Membertou has opted to maintain some of its valuable lands as fee simple and has no plan to convert its commercial developments to reserve status. Like some other indigenous communities, its realized that conducting business in Canada’s market economy is provides more benefits than being left out of it, even after paying taxes on economic activity. Mike McIntyre, Membertou’s financial officer, said that keeping the land as non-reserve status will help attract outside investment. That means more growth, jobs and opportunities for indigenous and non-indigenous communities alike. Christmas also identified the loss of value inherent in converting productive lands to reserve lands. He said that the community generates so much revenue by leaving the land in fee simple. Paying taxes, he said, is a cost of doing business. What matters is the success of turning fee simple land holdings into growth-producing economic activity. 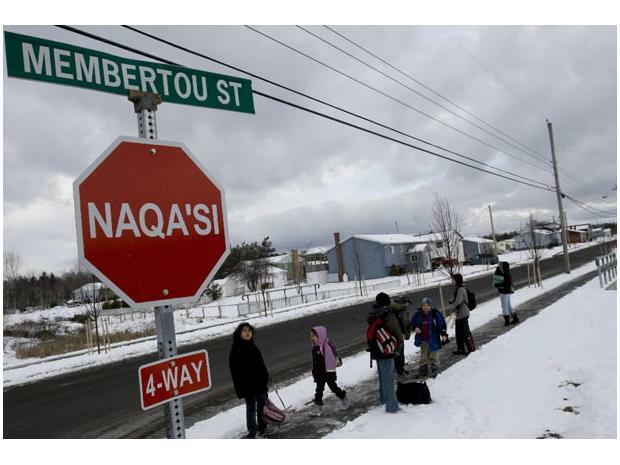 Membertou is an example of a successful indigenous community, advantaged by its urban location and operating in the market economy. What is to say other indigenous communities cannot emulate this success story? This indigenous community demonstrates why First Nations should have the choice in holding their own lands as tax-free urban reserves or as fee simple to maximize value. Indigenous communities need as many ways to develop economically as possible. As the economist and Nobel laureate Milton Friedman rightly concluded, free markets solve many problems that confound bureaucracies. Greater wealth and opportunity is created in societies that embrace markets instead of central planning. Empowering aboriginal communities with more economic tools means that First Nations can take control of their own futures. Like their non-First Nations counterparts, they would be “free to choose” how best to improve their daily lives.